Elder abuse may not seem like a comfy topic for a family dinner conversation. The issue is so distant and so macabre that many people simply choose to ignore it altogether. As a result, elder abuse is an increasingly serious concern for our society. Pathological – yes, but by no means uncommon. Elder abuse is actually quite widespread. As many as 4 million people per year in United States fall victim to elder abuse. Individual instances of elder abuse vary widely but may include physical abuse, mental mistreatment, and neglect in providing basic food and shelter. Authorities certainly understand the needs faced by vulnerable communities such as the elderly. Unfortunately, studies indicate that for every 1 reported incident of abuse, 23 incidents go unreported. As much as 84% of elder abuse cases may not be reported. Even if an elderly person is fully aware of the abuse taking place, he or she may not seek help due to fears of retaliation from immediate caretakers. In fact, elder abuse occurs across all classes of society. It affects people of every social, economic, and ethnic background. 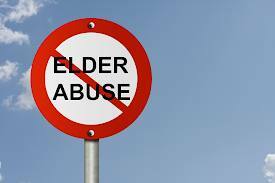 However, elder abuse does not necessarily take place in long-term care facilities. Instead, family members may be responsible for as much as 75-90% of all cases. It bears mentioning that, in many jurisdictions, “elder abuse” protections apply to seniors as well as to younger vulnerable adults with disabilities. One does not have to be an octogenarian to fall victim to elder abuse. When Should the Criminal Court Get Involved with Family Law?